Exercise in the water is safe and easy for everyone! Plus, the weightlessness of water takes the painful pounding of gravity completely away. Water is the way to gain range of motion and burn calories despite aches and pains. All water fitness classes are FREE to Y Members! These classes are offered continuously throughout the year with only a break for pool closure and Christmas holiday. Listed below are our session dates for our classes that run for 8 weeks at a time. Resistance training in the water! Build muscle and bone mass by using the water’s natural resistance properties along with various aquatic equipment. This is a serious workout! Non-members can complete registration in-house at our Front Service Desk. Members may register online through our link below, or in-house at our Front Service Desk as well. Create balance in the body through strength and flexibility with this program that combines the attributes of yoga with the environment of water. Instructors lead participants through stretches and routines that are safe for those with knee and hip problems. This class is also good for people who are just starting back into an exercise program. Participants can follow along in either the deep or shallow ends of the pool. Register for Aquatic Arthritis online! Enjoy the soothing properties of the water while reaping the benefits of an impact free workout. This class is the newest aqua-exercise workout that provides a low impact, high-energy challenge for participants of all ages, skill and fitness levels. Jump in and make a splash with this dynamic cardiovascular workout that tones and tapers the entire body! With land equivalent intensity, fantastic sing-along quality music, and dynamic instructors; it’s easy to enjoy the pure fun of the 55-minute water extravaganza. Aqua-phobes will become aqua-fans when they “Catch The Wave”! Register for Water in Motion online! 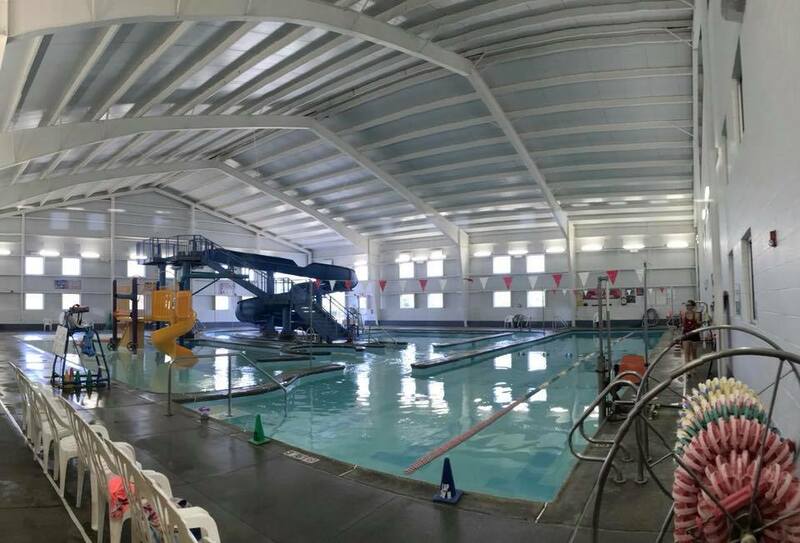 The Christian County YMCA offers an ongoing program to document and give recognition for member’s swim/walk miles. Members interested in the program should ask the front desk, or contact the Y at 217-287-7271.